crafty goodies: Thanks, Quick Quotes! 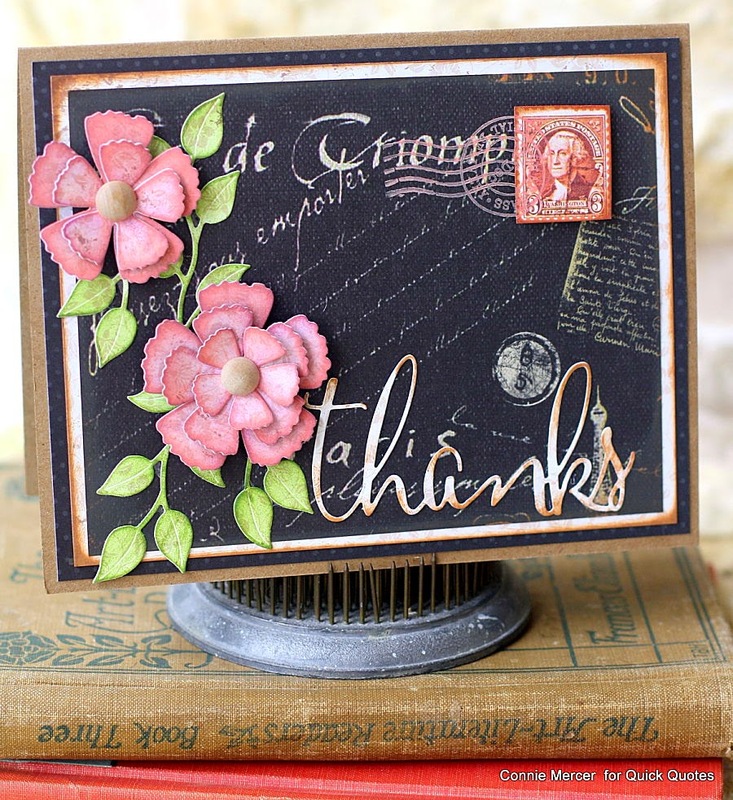 Hi, Connie here with a "thanks" card, using one of the new collections by Quick Quotes called Gypsy Road. I'm thinking this will be a favorite of mine. I love the eclectic look of the paper! * Ink around all papers with Creamy Cocoa PowderPuff Chalk Ink. * Die cut flowers and leaves. 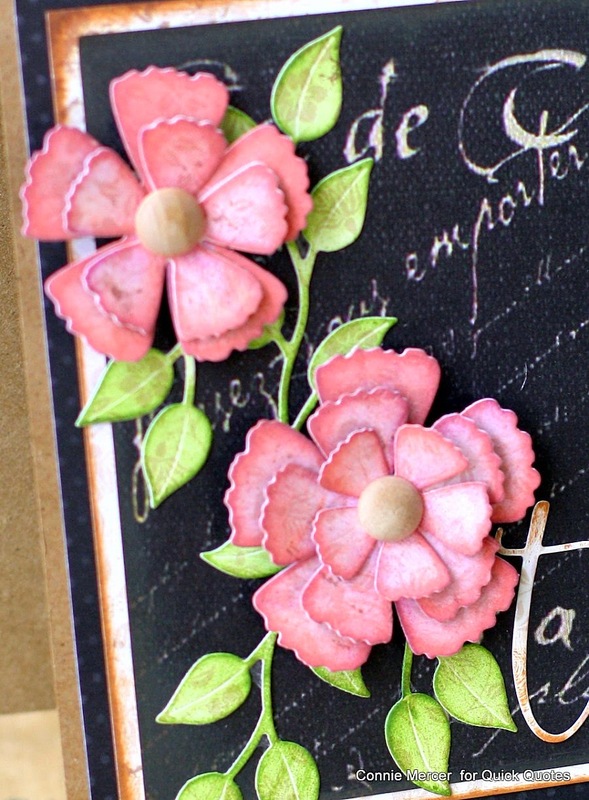 * Ink around each layer of flower petals with Coral PowderPuff Chalk Ink. * Repeat last step but with Razz-Berry PowderPuff Chalk Ink. * Assemble the flowers. Secure with a brad in the center. * Ink petals with Green with Envy PowderPuff Chalk Ink. * Assemble card with flowers and petals. * Cut the work "thanks" or use stickers. * Ink with Creamy Cocoa PowderPuff Chalk Ink. * Final step~ attach card front to a Kraft cardstock card. wow that is gorgeous.. i love those flowers.. nicely done..
Oh that's pretty-wait to see my cards-I'm getting better. So gorgeous! LOVING the colors and those flowers!!!!!!!! Stunning card! Those flowers really pop of the black.